Meow! Meow! What is better than having lunch with a cute cat? Not much. Cats rule. 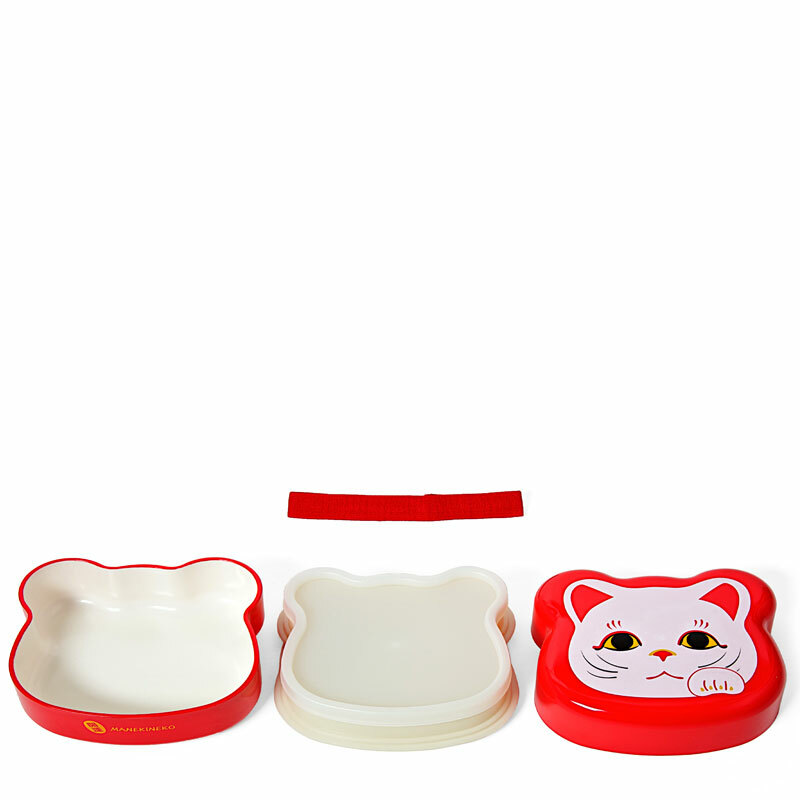 Set includes a base, cover, a removable compartment with lid and an elastic band to keep it all together. 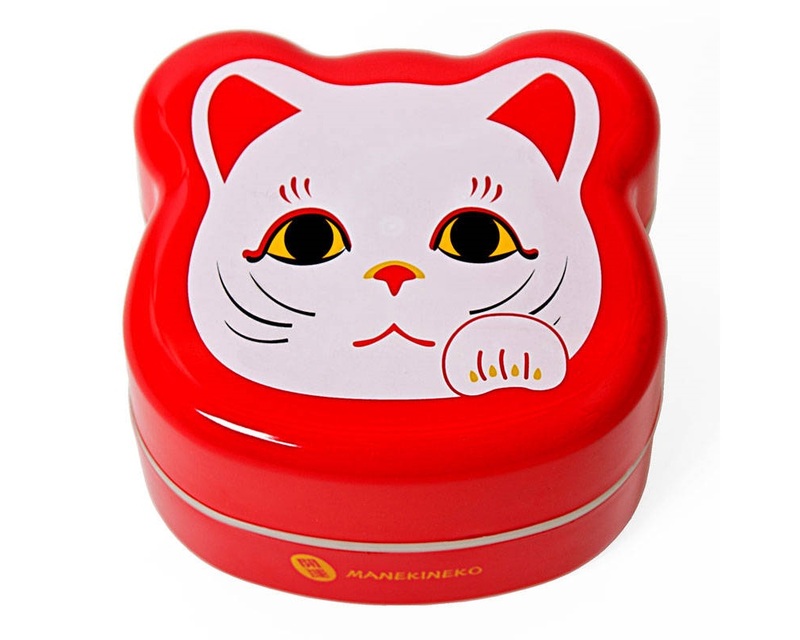 Bring lunch or snack from home and this maneki neko (fortune cat) will really be doing its job by helping you save a fortune! 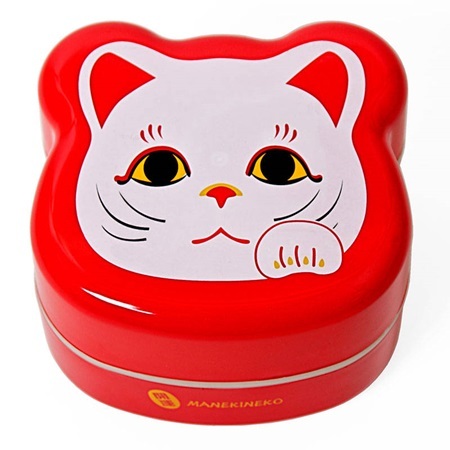 4.5" x 4" x 3" h.
Microwave, dishwasher safe (not cover, inner lid or elastic band).